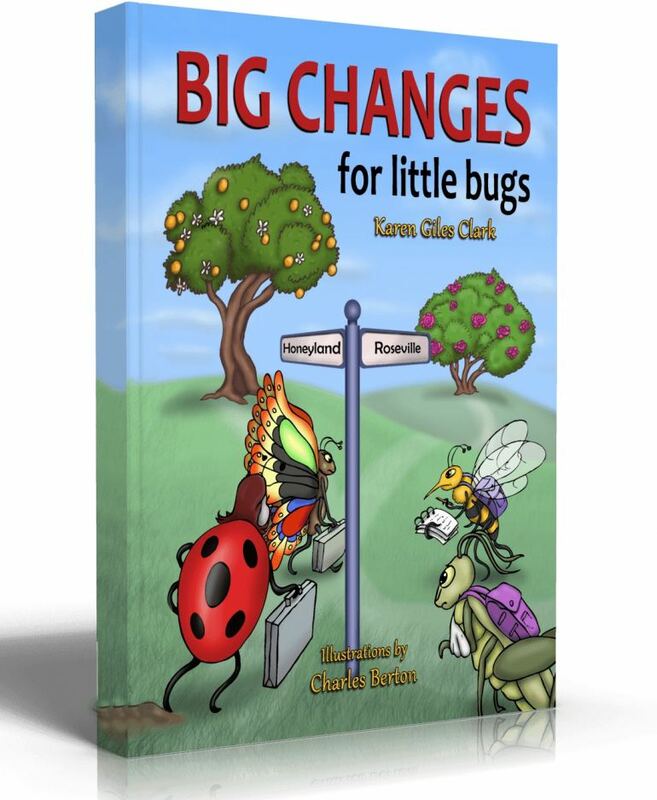 Big Changes For Little Bugs secures Top 10 Spot in Children's Literature. Author Karen Giles Clarks book was written to help families who are displaced after hurricanes, divorce, deployment and other life events. Author Karen Giles Clark Secures Top 10 Spot in Global Author Academy Awards. Karen Clark is up against 9 worldwide authors in the "Childrens" category of the prestigious Author Academy Awards. WATKINSVILLE, Ga. - Sept. 18, 2018 - PRLog -- Big Changes For Little Bugs has been chosen as a top ten finalist for a 2018 Author Academy Award, an honor bestowed for literary merit and publishing excellence in the writing and publishing industry. Clarks book is up for an award in the Children's category. Four bugs lose their home in a hurricane, and go on a journey to find another home and new lives. They chose to help each other survive the storm, and discover skills they can use in their new homes to help others. "Out of hundreds of books from authors throughout the world, only ten in each category were chosen as finalists for an Author Academy Award," said Kary Oberbrunner, founder of Author Academy Elite and the Author Academy Awards. "Our goal is to help further connect this global community of authors, maintain excellence and integrity of the book publishing industry, and raise awareness that the stories being told and the authors who write them are worth our attention." Authors of all kinds—indie, traditional, or collaborative published—reached the final round of judging for the Author Academy Awards. Finalists are being reviewed and evaluated on popular vote, social contribution, and overall presentation (cover, content, flow, and originality) by the Academy's voting membership comprised of best-selling authors, literary agents and industry leaders. The top ten finalists in each category will be presenting their book synopsis at the Author Academy Awards Red Carpet Session on Friday, Oct. 26, 2018, in Columbus, Ohio. Winners will be announced later that evening at the Author Academy Awards Ceremony where they will be invited to give an acceptance speech. Winners will also receive the opportunity to present their book synopsis at the Igniting Souls Conference main stage on the days immediately following Author Academy Awards in front of a global audience. If interested in supporting Clark and participating in the popular vote portion of the award evaluation, go to https://authoracademyawards.com/finalists2018/ and scroll to Big Changes For Little Bugs and click to vote. Voting ends October 1, 2018.